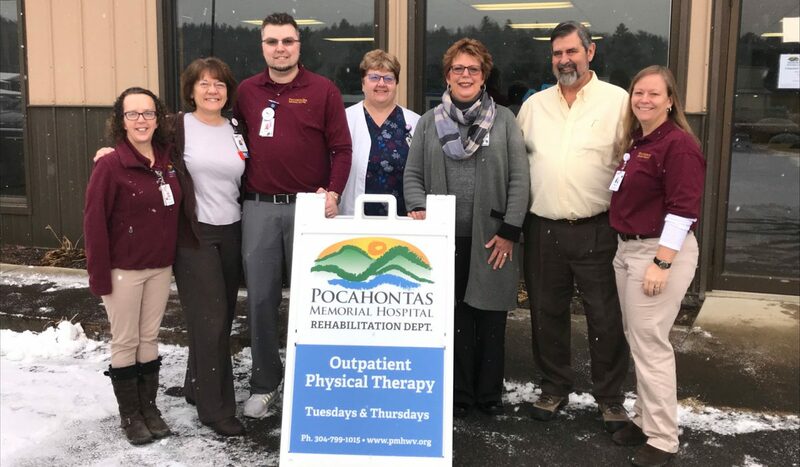 Pocahontas Memorial Hospital is very proud to now offer Physical Therapy services in Green Bank on Tuesdays and Thursdays of each week. After months of planning and work, the first patient walked through the doors of the BFD VFD Green Bank Station to the new outlying home of PMH’s Physical Therapy team. Two rooms have been outfitted for the team, with one serving as a Registration Office and the other a patient room with equipment. Green Bank resident Tom Melko, Physical Therapist, who worked for many years at PMH, will be returning to see patients in the new location, as well as Physical Therapist Bevin Saul, of Greenbrier County, and Director of Rehab/Physical Therapy Assistant Jason Riffe, of Marlinton.